To be accurate, Boulangerie Béchu is a salon de thé. It’s located in the very chic 16ème arrondissement (quarter) of Paris. It’s in a very nice neighborhood spot across from the beautiful Place Victor Hugo. The bakery is very pretty with both Art Deco and Modern styles, a lot of beautiful olden-day mirrors and most important, once you walk inside, the intoxicating aroma of bread hits your nostrils. The place hasn’t changed a bit since the last time I visited it. 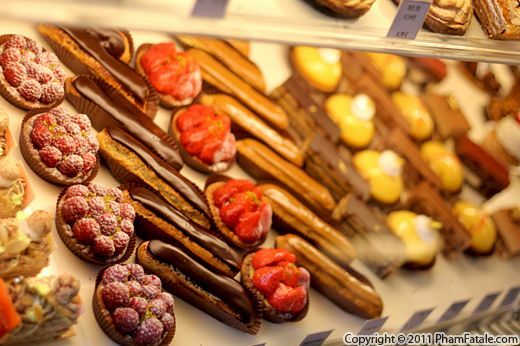 In the magical capital of fine pastries, Béchu is probably one of the best Parisian bakeries you’ve never heard of. 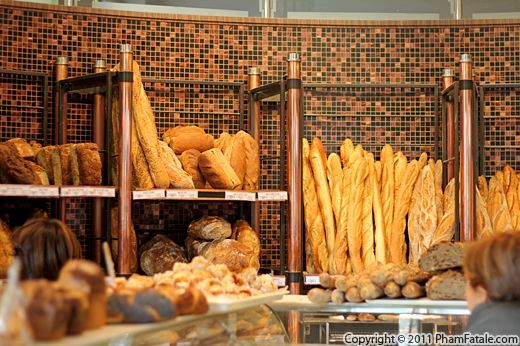 You can find all sorts of baguettes, pains (bread), flaky croissants, delicious pains au chocolat and an assortment of different flavors in the sweets.